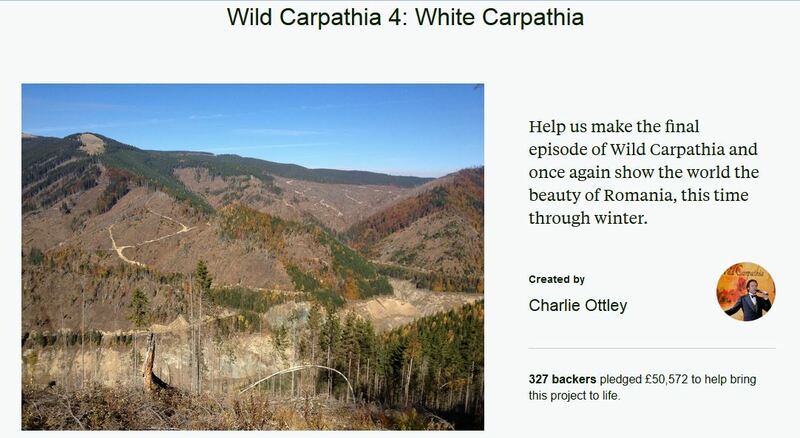 Wild Carpathia 4 fundraising a success! Filming is to start immediately on Wild Carpathia 4. The target of £50,000 has been reached. A big donation of over Euro 20,000 was made by a Romanian country club and its members over the weekend which accelerated the funds towards the goal. Thank you to all of you who follow the blog for your contributions. I am sure Paddy would have been pleased. This entry was posted in Romania, Uncategorized and tagged Romania, Wild Carpathia on October 1, 2015 by proverbs6to10.